My relationship with working out is dicey, the one thing I do love about it is the cute clothes! For me, it's all about finding something functional that makes me feel good. 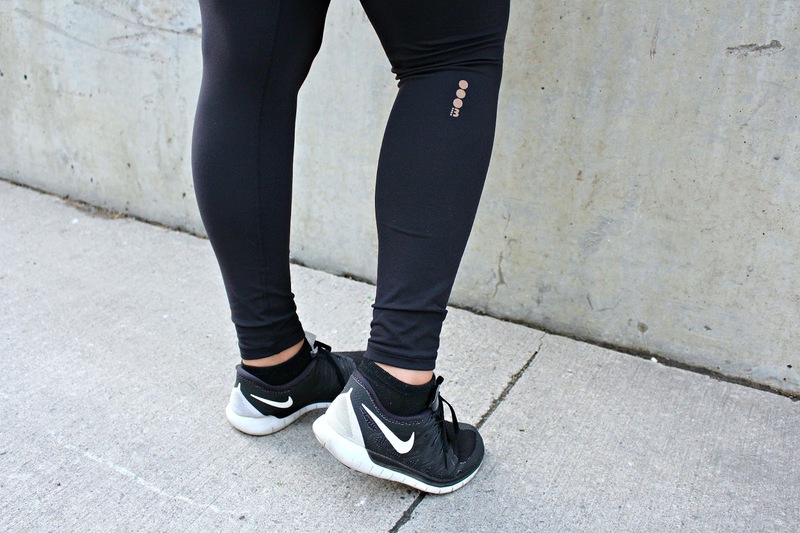 Bench Dominant Legging ($79.00 CAD) - I have a curvier body type, that's bottom heavy so I've tried many leggings that look see through on me. Even worse, I buy them and after the fact realize they are see through. Not the case with these leggings from Bench Canada. They also have a really high waisted fit that makes me feel comfortable and secure. 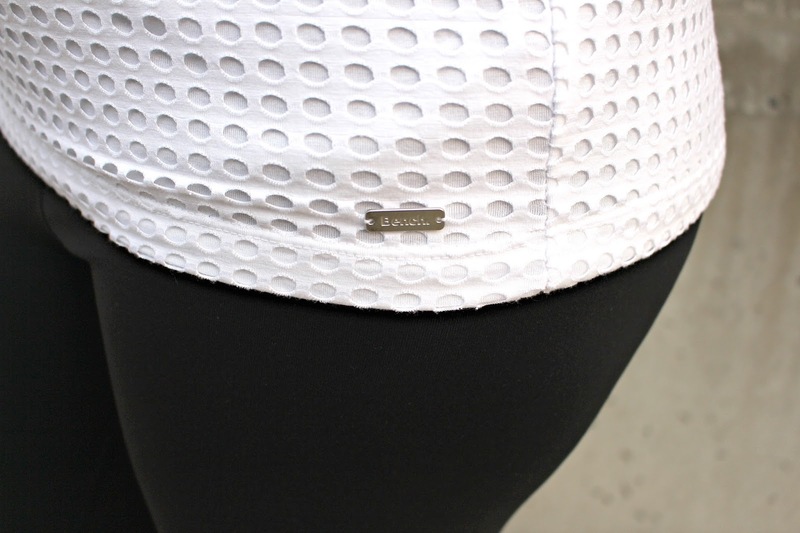 Bench Double Layer Mesh Tee ($29.99 on sale)- This shirt screams athleisure, which is a trend I am so on board for. It's not the kind of shirt I'd personally wear to the gym, but it's great for a brisk walk outside or other light exercises. I love rocking this shirt with leggings or jeans, I hate to say it but .. you can dress it up or down. SO CLICHÉ, but true. Bench Jersey Strap Top Solid ($29.99 on sale)- This is the kind of shirt I like to wear while exercising for a number of reasons. It's a lightweight material, longline fit so it covers mid-section and then some and the design of the shirt allows me to easily wear a sports bra. As much as I love super intricate exercise clothing, if I can't wear a sports bra it's kinda pointless. *The Bench Canada clothing was sent for my review, all opinions are my own. Ummm love. Everything. That top is so cool and I love the details on the pants! Those leggings are wicked on you. I love bench clothing (worked with them back in Canada too) and I love the leggings I have. Very good write up and like the pics! I have also joined the gym and for these workout sessions have been looking for some money saving deals on clothing. I truly liked this version of the yoga leggings from the brand beach riot. They have a lot of designs and I am truly in love with their patterned leggings with the mesh detailing. Will definitely place the order for a pair.